MJ Clements is the Director of Mother and Unborn Baby Care in Appleton, WI and it all began with a simple phone call from the board of directors in MJ’s time of need. It has been eleven years since MJ began working at Mother and Unborn Baby Care, and she becomes more dedicated to the good work the clinic does each day. One of the most special moments, MJ says, is when the parents bring in their child to meet the staff after he or she is born. This very moment is a tangible sign of the life saving work of Mother and Unborn Baby Care, in conjunction with Vida Health Clinic. Mother and Unborn Baby Care is their corporation, which provides the Earn While You Learn program. They believe that the best way to help those in need, is to allow them to help themselves. “It is with that belief that we launched this innovative program in the Fall of 2006.” This Earn While You Learn program seeks to calm women's anxiety in their time of uncertainty and answer important questions about pregnancy and parenting. 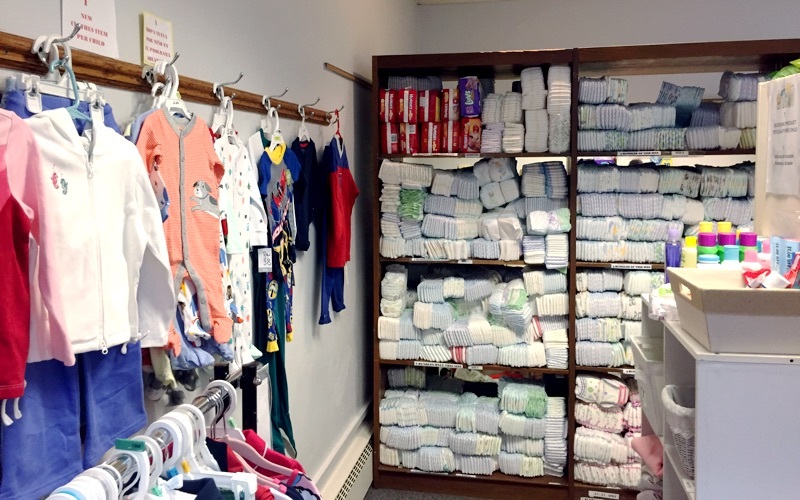 As a result of taking the various classes, or watching instructional videos, the mother’s earn “Mommy Money” to purchase materials like diapers, wipes, baby clothes, and other needed supplies. Connected, but distinct, is the Vida Health Clinic which was founded in 1983 in hopes that abortion minded women would not be deterred with the knowledge that the clinic was pro-life. Vida Health Clinic desired to be a place where women could receive healthcare and counseling on all of their options, while not performing, endorsing, or referring for abortion. “This model has worked for us for over 35 years.” The Vida Health clinic is located right next door to Mother and Unborn Baby Care and they offer free pregnancy testing, ultrasounds to verify pregnancy, Sexually Transmitted Disease (STD) testing, Pap/pelvic and breast exams, education on adoption, abortion, parenting, and medical referrals. The staff and volunteers at both Mother and Unborn Baby Care and Vida Clinic see some very sad situations, MJ says. But through it all, they do the very best to help in each unique situation. Every patient and client is so unique and this April 23rd, Mother and Unborn Baby Care and Vida Health Clinic will host “An Evening of Stories” to give the women they serve a platform to share their personal stories. This event is in conjunction with their annual “Together for Life Banquet” that shines a light on all the good work done at the clinic and seeks to provide financially for future needs, as it operates entirely upon private donations. MJ Clements, Director of Mother and Unborn Baby Care invites YOU to join them for “An Evening of Stories” and show your love and support for the courageous women who choose life! RSVP here by Monday, April 15th.